As President Donald Trump continues to make the case for a wall on the United States' southern border, Mexican and US authorities are uncovering smuggling tunnels beneath it. 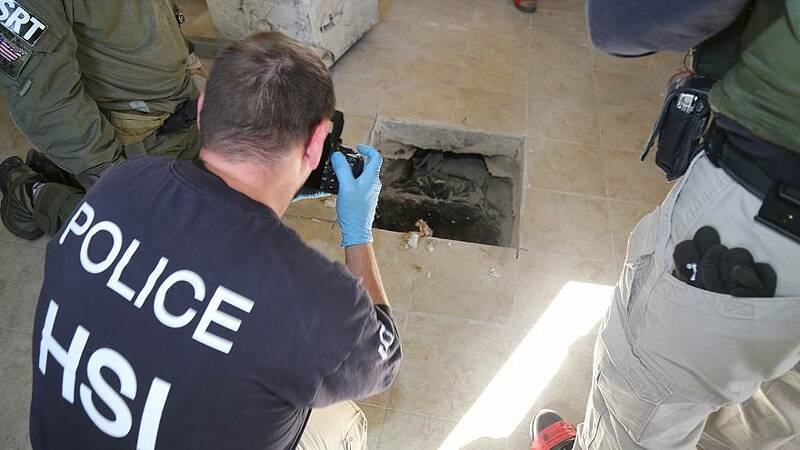 Also last week, Mexican federal police posted a tweet about the discovery of a smuggling tunnel under the state of Sonora's borderwith Arizona. While standing 70 feet underground in the Galvez smuggling tunnel between Tijuana and San Diego, Border Patrol agent Lance Lenoir told NBC News last year that border fencing will not stop drug smugglers. "As long as they get from point A to point B in secret, they're going to do it," Lenoir said. "They're always tunneling somewhere." The Department of Homeland Security did not provide information on current enforcement activity against smuggling tunnels or the amounts of drugs interdicted because of the partial government shutdown, which is the result of stalled negotiations between the President and Democratic leaders in Congress over funding for border security and Trump's proposed wall. "Due to the current lapse in funding, we are unable to accommodate this request," spokesperson Katie Waldman told NBC News. Trump has long pushed the argument that a border wall will stop illegal drugs from entering the United States, although the Drug Enforcement Administration has reported that the vast majority of hard narcotics come through legal ports of entry. Narco-tunnels have also been a preferred method of smuggling for drug cartels since the 1990s, when the first sections of border fencing was erected along the southern border. The Brooklyn trial of Mexican drug kingpin Joaquin "El Chapo" Guzman Loera has revealed how his Sinaloa Cartel smuggled hundreds of millions of dollars of drugs into the United States using tunnels, boats and airplanes.